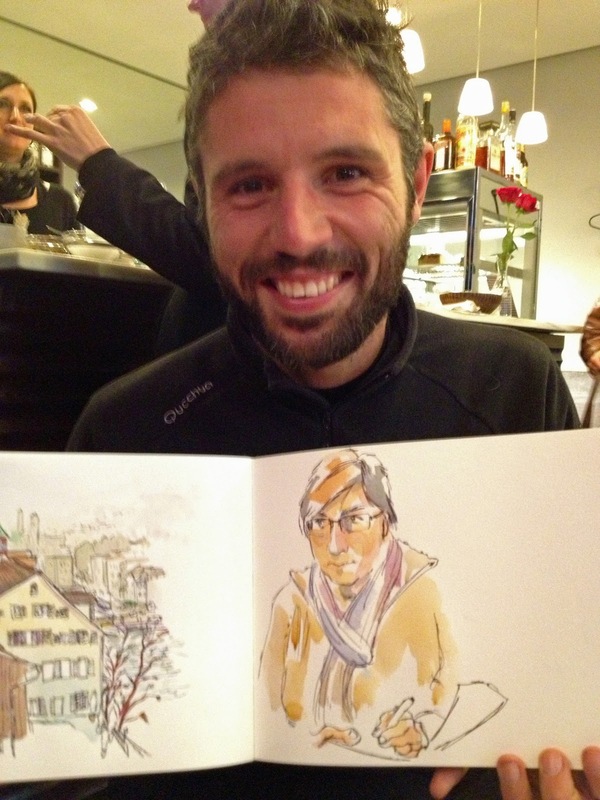 I met up with World Sketcher Luis yesterday on his way through Zürich. 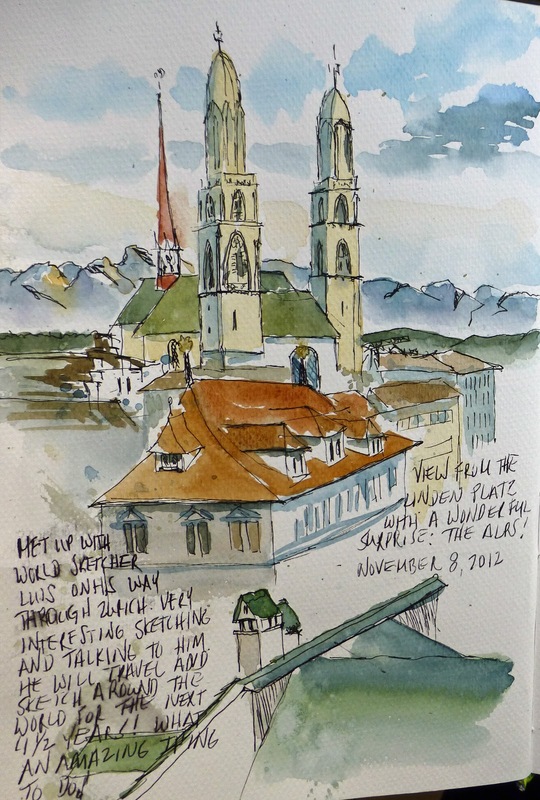 It was very interesting sketching and talking with him about his travels. He will travel and sketch about it for another 4 1/2 years. What an amazing thing to do! 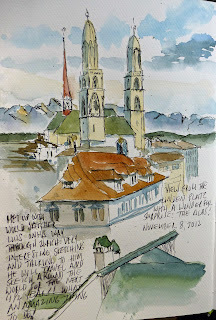 And here's the sketch I did from the Lindenhof. We were very luck with the weather. It isn't often you see the mountains from Zürich! Very cool! Check out Luis' Website for more information about his travels! As always I am dazzled by your use of colors. Really cool artwork!